NIA — Premier of Nevis Hon. Mark Brantley is slated to leave the island on January 13, 2018, for the United States of America on his first official overseas duty since he was sworn into office on December 19, 2017. Mr. Brantley told the Department of Information on January 11, 2018, that he will be attending a fundraising event hosted by Hearts & Hands for Nevis, Inc., a non-profit organisation of Nevisians. He expects to return to the island on January 15, 2018. “I will be journeying to New York for my first official trip as premier. I have had the honour of being invited by the Hearts & Hands in New York for the 19th annual luncheon which will be at the LaGuardia Airport Marriott in Elmhurst, New York to have a conversation. “I am the keynote speaker. They will at that time be honouring the Hon. Uhral Swanston, Her Honour Marjorie Morton and the late Pearline Liburd, three people who have given tremendous service to the people of Nevis,” he said. Mr. Brantley stated that he deemed it a distinct honour and pleasure to be with members of the Diaspora in New York, as they are part and parcel of all on Nevis and he welcomes their contribution to their homeland. “They happen to be living in New York and New Jersey and other parts there but the truth be told, that they remain an integral part of us. “Our job, as a government, is to bridge that physical divide, that ocean that divides us and to say that at the end of the day we are all one Nevis; we are all Nevisians and we welcome their contribution and so for me it is very important to be there with them and I thank them for the invitation.” he said. The Hands & Hearts for Nevis Inc. which was founded in 1999, is dedicated to positively affecting the lives of Nevisians and friends through service with integrity and excellence. In his absence, Hon. 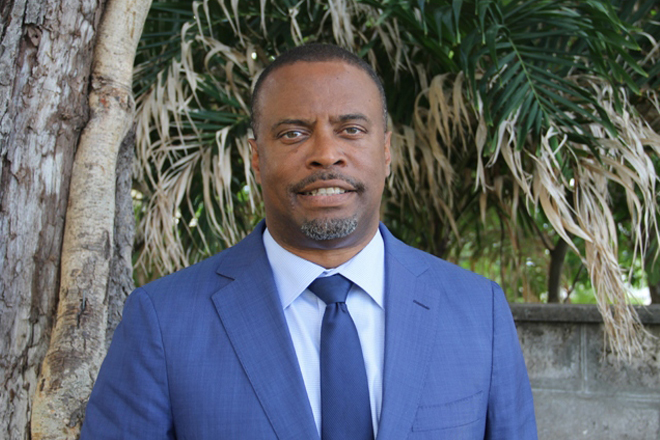 Alexis Jeffers, Deputy Premier of Nevis will act as premier.